* Track is untitled on the flexi, but this is the correct name, also been called And Then Again and Incubation 2 (or B). This flexidisc was given away free in Records Stores back in 1980, Supposedly available forever. Initial pressingof 10,000 copies. 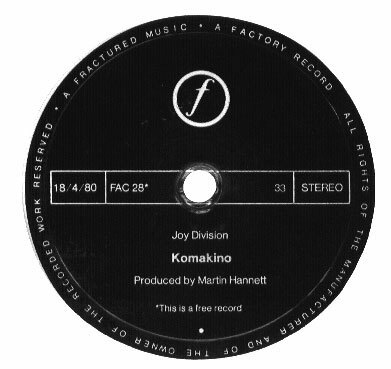 The flexi was financed from the sales of FAC 23.